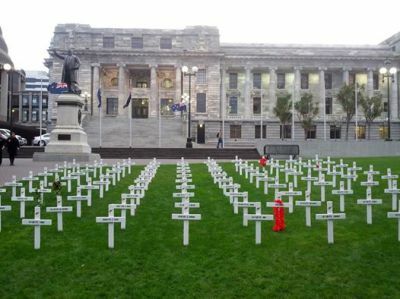 `Te maringi nei te roimata e te mamae te ngakau i te maaraara anga iakoe to matou metua tupuna akaperepere. Metua Amupoi and our great grand uncles T. (Taverio) Vavia William, Keu William, Mataputa Samuel, Mana Samuel (Manu William) the brother of Vavia and Keu William, Koria Samuel, Vairakau Samuel and Moeau Samuel the brothers of Mataputa and Mana Samuel, who joined in Rarotonga and were enlisted under the names they were given or had adopted while living in Rarotonga). 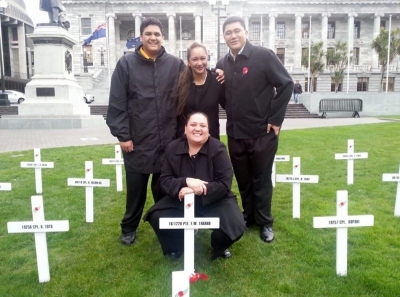 Also to the Cook Islands Maori soldiers that returned to `Te Ipu Karea, Kuki Airani’ (their home land, the Cook Islands) and to the memory of all those that fell in battle & illness, never to return home or to be seen and held by their loved ones again. years their feats have largely remained unknown, slowly fading into the shadows of history and time, now only fragments of their stories remain, kept alive mainly in the hearts and memories of their loved ones. ` I roto ite enua o te tai ke ‘ (in foreign lands, far from their homeland). Our Grandfathers story also serves to remind us of the sacrifices that he and others made to ensure that we and future generations may live in a country where we are free to make `our own choices and own decisions over our own lives’. Our final wish is that the sacrifices of our Tupuna and those of others are not forgotten, that they will forever be remembered in the hearts and prayers of present and future generations, lest we forget!